We like to share the latest bulletin of the European Association for the History of Nursing. October 2016 - On 4 October 2016 Rotterdam will hold the limelight. This is obviously due to the presence of Queen Máxima, who will attend the 5th European Nursing Congress. In a marathon session of 4 days, 700 nurses from all over Europe will discuss the issues concerning Caring for Older People. A reincarnation of a congress from 1892. In 1891, the Dutch nursing world was all aflutter. Everything was focused on the first conference for nurses, the Gathering. A large event that was held for the very first time, to showcase how nursing had become a real profession. With this conference, the Netherlands showed that it no longer lagged behind the rest of Europe. Although the organisers tried to claim the honour, the idea for this conference came from Anne Reynvaan en Jeltje de Bosch Kemper, two ladies with guts. The aim of the Gathering was to achieve more unity in the education and the examination of nurses. For this was still rather a haphazard affair. Each hospital followed a different procedure. After extensive preparations, the nursing conference took place on 4 and 5 October 1892, in Amsterdam. The class room of the recently opened Wilhelmina-Gasthuis was filled to capacity. Although the estimates of the number of attendants went as high as 250, officially, 175 participants of the conference were registered. 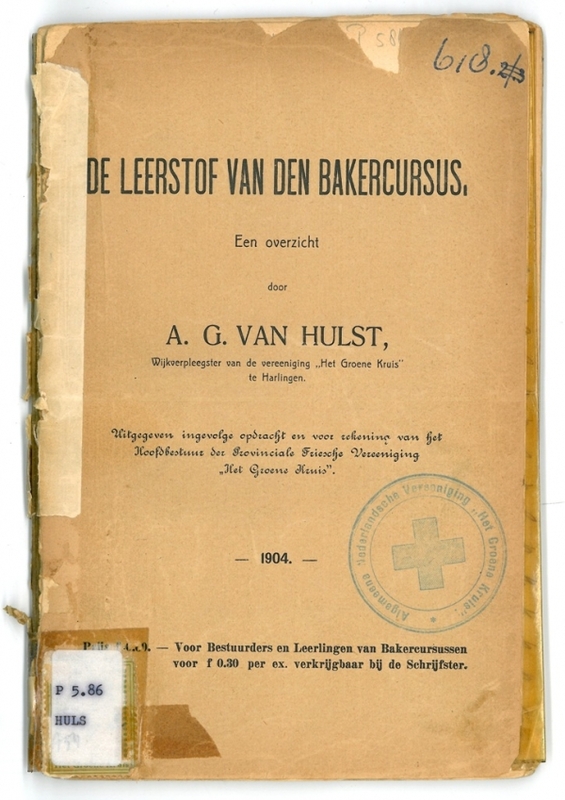 A wide variety of organisations, Christian and neutral, but all active in the field of nursing in the Netherlands, had gathered. The collaboration of so many parties made the conference extraordinary. For two days, ideas were exchanged on urgent issues in nursing. Directors of hospitals, physicians, ministers and managers of private organisations, but also politicians and municipal functionaries were present. Still, these men of name and fame were not the biggest draws. Much more attention was paid to the many women seated in the hall. Female directors, deputy directors, head nurses and private nurses were all present. “Ordinary” nurses who had managed to get a day off were also present. Among them, especially the “fresh looking nurses” of the Wilhelmina Gasthuis colouring the rows with their blue uniforms were remarked upon. Many of the nurses were wearing the prescribed uniform of their own hospital, which gave a pleasant, colourful impression. But nor everyone was charmed. The physician Nijhoff, one of the speakers at the conference, was of a different opinion. In his report for the Dutch Periodical for Medical Science, he noted that the uniforms “gave some a tasteful appearance, while looking awful on others”. It was also remarkable that the conference had a female president, Jeltje de Bosch Kemper. Although a substantial number of leading women in the nursing world was present, it is striking that none of them was among the speakers. Not a single female director gave a lecture, not even Anna Reynvaan. All lectures were given exclusively by prominent physicians. And even though the filling in of the nursing profession, the requirements in the education and the examination, were fiercely debated after the lectures, none of the nurses present participated. It had been so arranged that, without a payment of 2,50 guilders, they had no right to speak. Hence, the most important conclusions of this gathering were that there should be more collaboration and more unity between the different institutes. A successful conference, one might say. The newspapers were jubilant. But would the professionalization of the nursing profession not have been arranged differently if the nursing directors and the nurses themselves would have been able to voice their wishes at the conference? The Gathering cannot be called more than a “hesitant” professionalization. For the 5th European Nursing Congress, the reincarnation of the Gathering, expectations are rather different. Nurses and care givers play an essential role in social changes. They do so since 1880. To prepare students for this flexible role, they can profit from knowledge of the development of their future profession. Research and education in the history of nursing are therefore our spearheads. 12 May is the birthday of Florence Nightingale. For that reason, this day was chosen for nurses and carers to celebrate International Nurses Day each year. In 2015, Eline de Kok, who is a nurse and a nursing scientist working at the UMC Utrecht ringed the gong of the AEX and thus call attention to the strength of nurses and carers in society.